Description: GemsNY is a business categorized under jewelry display units (whls), which is part of the larger category commercial equipment nec. GemsNY is located at the address 20 W 47th St, Ste 606 in New York, New York 10036. 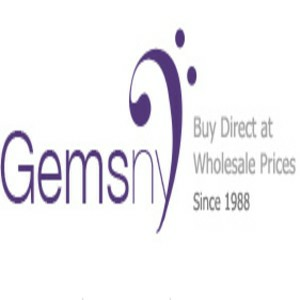 The Owner is Vishnu Batwara who can be contacted at 1-888-436-7692.
Review: GemsNY.com is a world-renowned online gemstone and diamond jewelry store. By offering only certified, genuine and hand-selected gemstones by our expert gemologists, we want to add a new dimension to jewelry design service in which we are savvy. From preset settings, ‘make your own’ pieces to custom jewelry design, we create the personalized jewelry of your dreams. Location & access map for "GemsNY"